In 1949, Charles and Ray Eames designed a coffee table as a unique furnishing for their own residence, the legendary Eames House in Pacific Palisades, near Los Angeles. Ever since, the table has contributed to the unique decor of this historic home interior. The rectangular table top, which gives a simultaneous impression of simplicity and luxury, was originally covered in gold leaf. 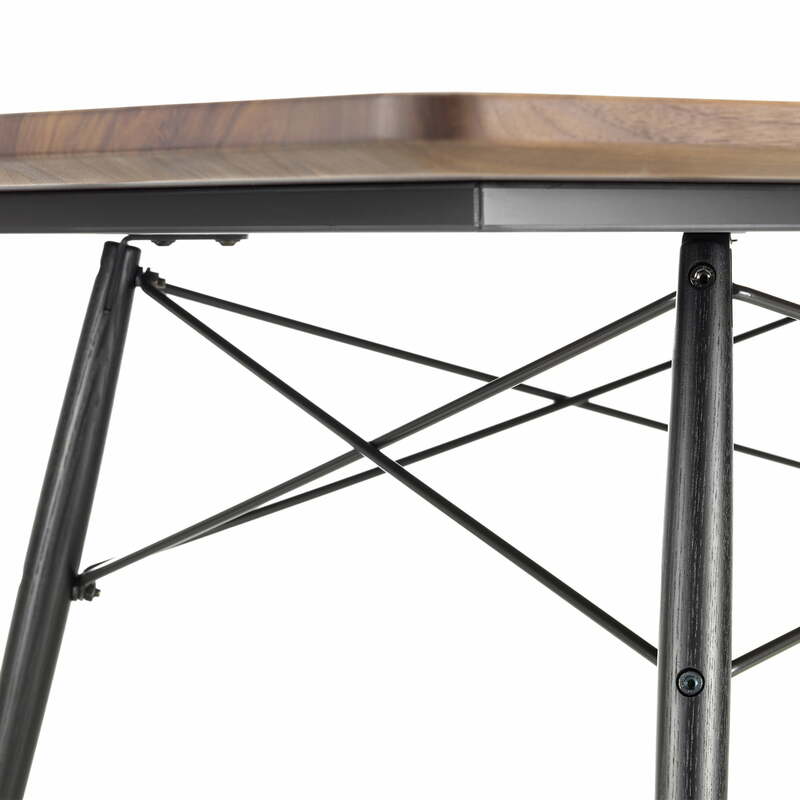 Its “dowel-leg base” is a variation of the wooden base found on the Eames Plastic Chairs. 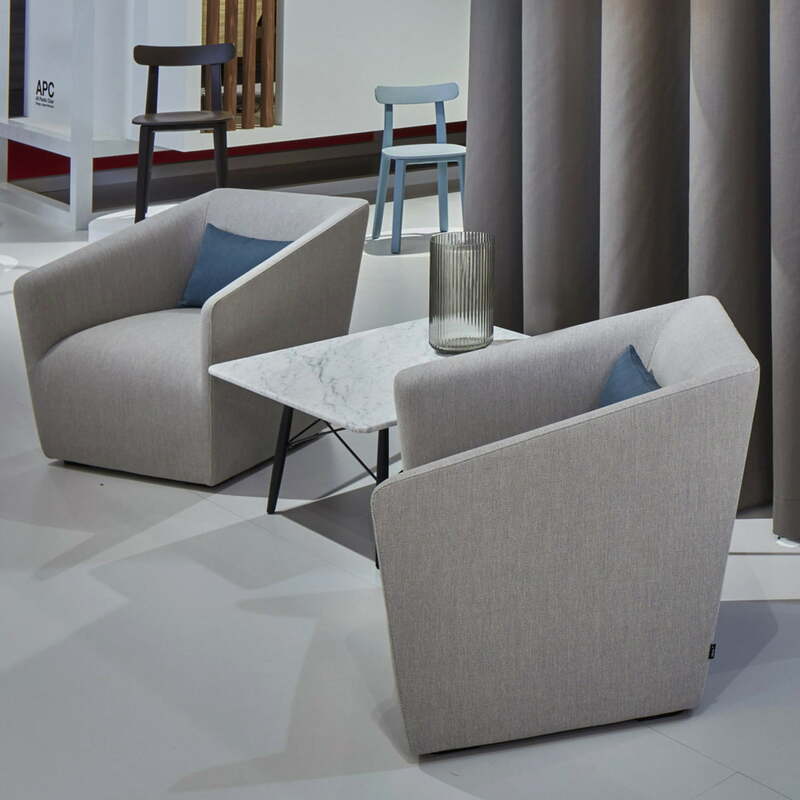 Not less luxurious, the coffee table presents itself with a wooden base and table tops in different versions now. The re-edition of the Eames Coffee Table, which was developed by Vitra in cooperation with the Eames Office, evokes the spirit of the early one-off pieces: fabricated in exquisite materials, this high-quality coffee table is both precious object and therefore, harmonises not only with the Plastic Side Chairs but also with many further furniture. The rectangular table tops are made of palisander veneer, marble or solid American walnut. The base, combining black wooden legs with metal cross-struts, provides a stable understructure and emphasises the understated elegance of the Eames Coffee Table. The Eames Coffee Table in palisander veneer with a pedestal made of black ash by Vitra. 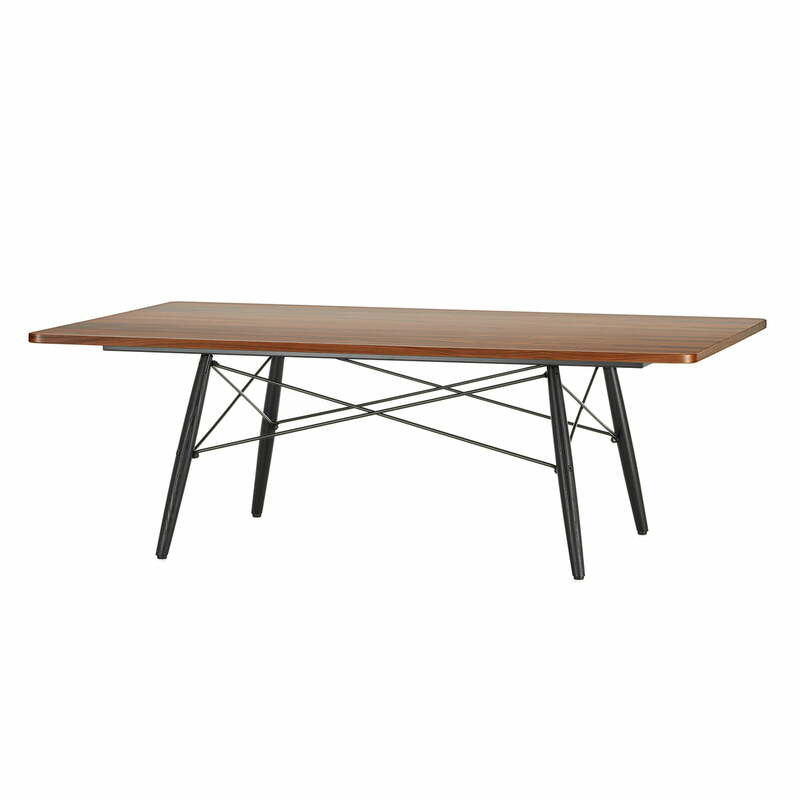 Single image of the Eames Coffee Table. The pedestal made of solid wood and metal reminiscents of the design of the Plastic Chairs by Eames and also appears very elegant and premium. The Eames Coffee Table by Vitra. Detail image of the Eames Coffee Table. The table top made of American walnut with black ash and metal pedestal ensures a harmonious mix of materials. Group image of the Eames Coffee Table by Vitra. 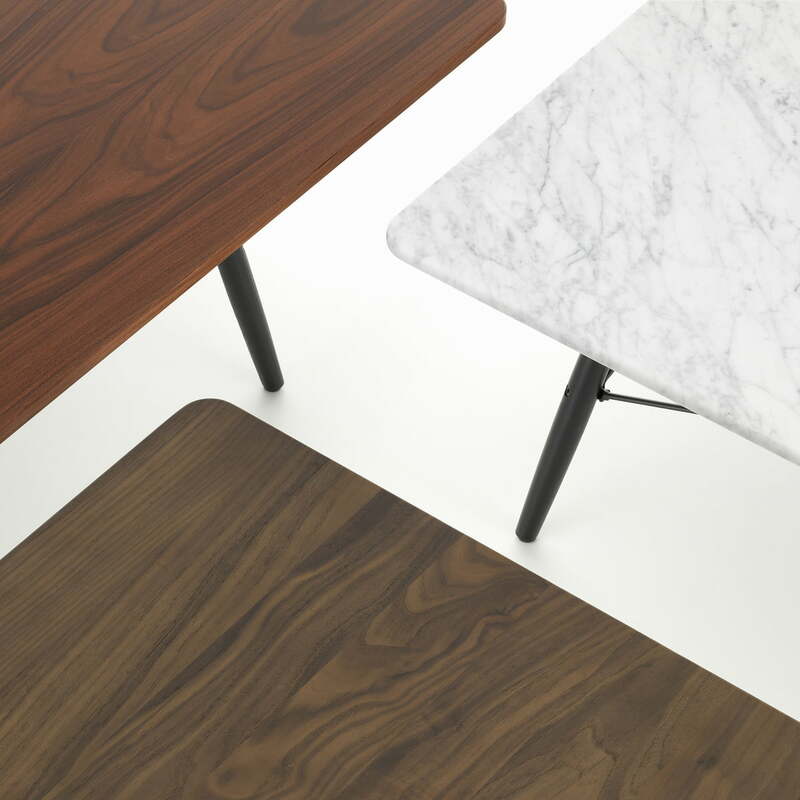 For every taste the right one: with marble, American walnut or palisander veneer, Vitra offers a wide range of table top versions. 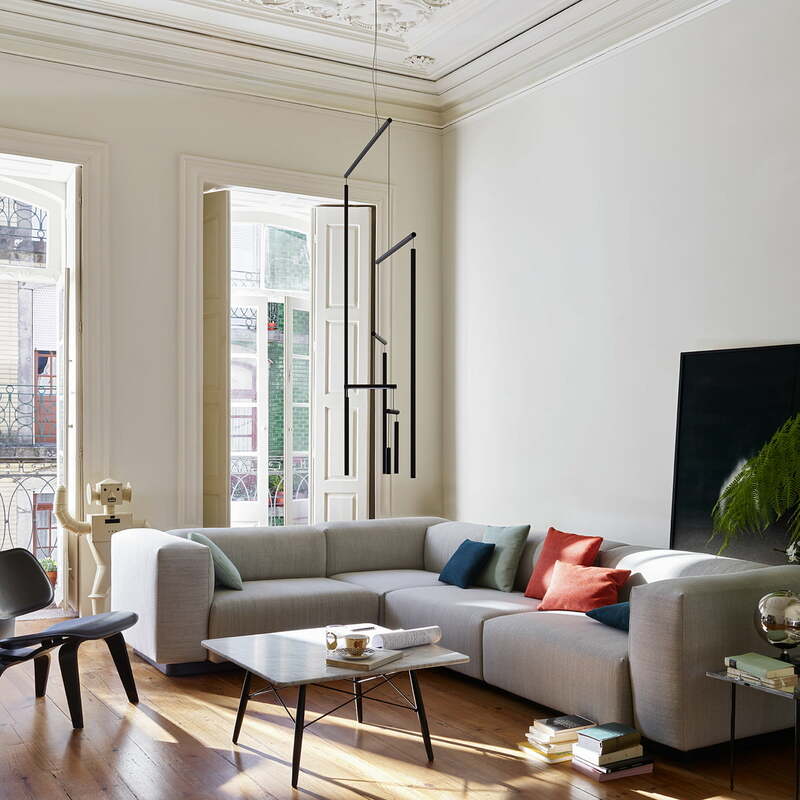 Eames Coffee Table and Soft Modular Sofa LCW by Vitra. The Coffee Table fits perfectly into any home décor and emphasises by material and shape. 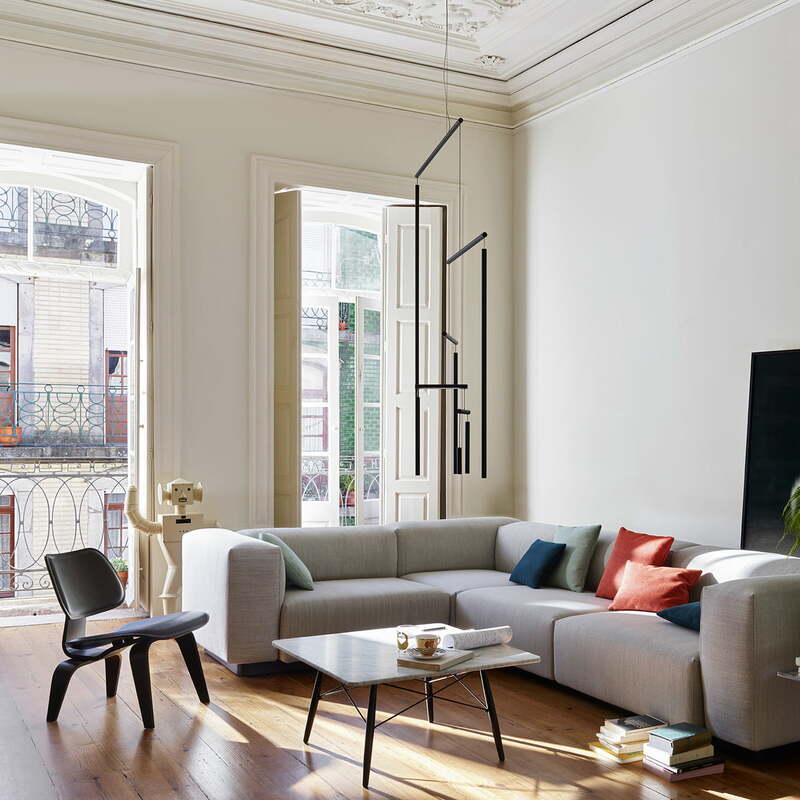 Especially in combination with the Soft Modular Sofa LCW, the living room becomes a stylish comfort oasis.